Home Cycling Prades and his debut in the World Tour: "The road has been long"
Prades and his debut in the World Tour: "The road has been long"
The Movistar Team rider valued his debut in the UCI World Tour after competing in the Tour Down Under and shows his enthusiasm for competing in the Ardennes Classics. A Eduard Prades (1987) has spent a decade achieving his desire to compete in the WorldTour elite. 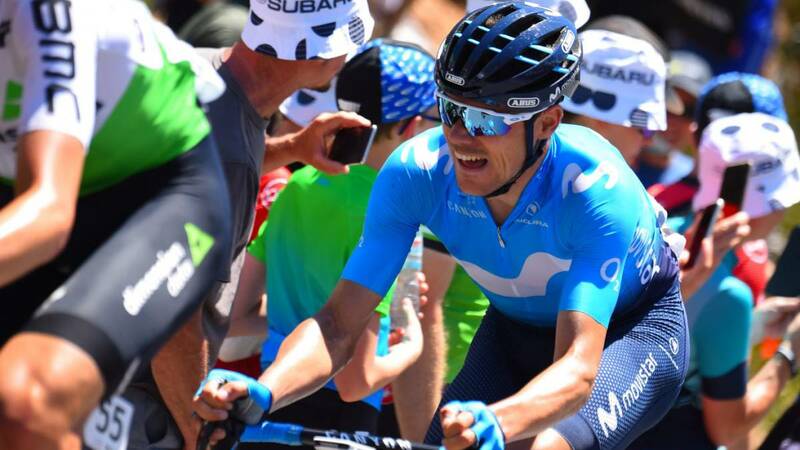 After its outstanding 2018, the door was finally opened in the Movistar Team and debuted with the blue colors in the Tour Down Under. The Catalan will play "an alternative calendar" to the big laps and his goal is to be competitive in the laps of a week. His dream, to dispute some of the classic Ardennes. Last year, Prades won the Tour of Norway and the Tour of Turkey and was second in the Tour of Yorkshire. That's the line he hopes to keep in the Tour de la Provence this week in 2019. - How is his WorldTour debut being? - At the moment, everything is going very well. I am happy. Let's see how far it takes everything. The truth is that it has been a long way, but everything has its reward. Now for my part is to take this opportunity to the fullest. - And how was its premiere in the Tour Down Under? - A good experience. The team was very good tuned. Other runners, like the Australians, were at their best, and we still were not one hundred percent. It helped us to see where we are and what needed to be improved. For the rest, it was something new for me, special, a beautiful race. - What will be your next race? - The Tour de la Provence. Maybe it's been too long since Australia. At home -in Andorra-, I worked as best I could to continue improving, despite the cold. The first day's clock penalizes me and it can be a good lap for Jasha -Sütterlin-. My intention is to fight for each stage because in France they are like a classic. - What have they asked from the team? - I am asked to be ahead in this type of races, in which we do not have a definite leader. Give the call in these rounds of a week and get the best possible result. - You open the best calendar, what evidence would you like to dispute? - And what would you like to achieve sports? - A victory in a WorldTour team would mean a lot to me; and, if not, contribute and help others on the team win. That is also a good reward. - It has competed in the Continental category and the Pro Continental, what is the main jump? - The main difference is that logically you have more economic level and therefore more resources. At the level of organization it works very similar and at the sport level you always play something in each race. However, last year at the Euskadi-Murias we were also required to help the project grow, so that there would be a greater impact and attract sponsors. - And what memories do you have of your year in the Basque Country? Murias? - It's one of the best memories I have in cycling. I had a great time, I enjoyed, and I learned and grew a lot. I am very grateful.